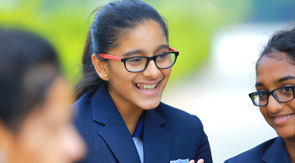 At Manchester International School, Student Council is a student-based civic group designed to help promote school spirit and leadership among students. Students participating in all levels of the Council will maintain a high standard of personal conduct. Council members will express leadership qualities by serving as good examples of behavior through their words and actions. All Council members will be expected to participate in approved activities, which will serve to enhance the quality of both the physical and behavior environment of the school and student council will be involved in many community minded projects also. To develop positive attitudes and to practice good citizenship. To promote harmonious relations throughout the entire school. To improve school morale and general welfare. To provide a forum for student expression. To plan special events or projects. Benefits of being involved in student council include: opportunity to improve reading and writing skills, gain experience in public speaking, and learn how to make a positive impact on school and community environment. In addition, student council serves as a chance to meet new friends and work with a wide variety of people. Develop positive attitudes and good conduct among the students by joining the hands with heads and the management. Provide a democratic form in which students can address those school related issues, which affect their lives.